I have had a lot of requests lately from people asking me to help them source in China, everything from kids clothing to electronic toys. I do not take on just any product and usually if I am not interested in a project then I just point the person to a sourcing company in China who might be able to help them. And the other day this was the case with a person who came to me asking me to help them source some smoking paraphernalia in China. Not only am I opposed to smoking but I know nothing about it and for this reason I was not interested in accepting the project. But the guy seemed nice enough and judging by the drawings he sent to me he is far along in his product development and is very serious about taking his product to market. So I gave him the name of my contact in China but I also gave him some parting advice. That advice was simply to inspect his orders BEFORE they left China. This is the advice I give everyone but it occurred to me in that instant, when I was just thinking about one piece of useful advice I could offer someone who was about to start sourcing in China, that, yes, checking your orders before they ship from China is the only way you can guarantee that your vendor is delivering to you what you have paid for. If you inspect an order in China and you don’t like what you see you can ask the vendor to redo the order or you can just walk away. The most you stand to lose is your 30% deposit. The analogy I always use when explaining this to people is the shoe analogy. When you buy a pair of shoes the last thing you do at the register, before the sale is rung up and you take the shoes home, is to open the box to make sure the two shoes in the box are the same size, and that you have one left shoe and one right shoe. And this is exactly what you have to do when you have an order shipping from China: Verify. The one caveat is that small companies or start ups operating on a budget do not have 5K to spend on a one week trip to China to inspect an order. Or they may not see it as good business sense to spend 5K to go inspect an order, the value of which may be less than the cost of the trip to China itself. This is understandable until you figure that if that order goes badly then you will not only lose your investment but may lose customers and your business as well, assuming you have taken orders that you will not be able to fulfill. I have one on and off client who got a bad order from China and four years later he is still selling off the defective product after repairing everything himself, piece by piece. I imagine it has also cost him a little money to warehouse the product, one container’s worth, in that time. And this is what I mean when I tell people to take the broad view and to always see China sourcing as a long term strategy. You may operate on razor thin margins at first or may even lose money but if this helps you get quality product to your customers and build your business it is probably worth it. Most of the small businesses or micro businesses aka startups that come to me are on a budget. When I tell them what I charge for a sourcing project, a fraction of what other sourcing agencies charge, I am sure they are thinking “why should I pay this guy to put together a list of vendors for me when I can just go on Alibaba and find some vendors on my own. “ If I were starting a business that is probably how I would think as well, for Alibaba is just so easy to use when you are trying to find a supplier in China. In some ways I have no problem with this because when you are just starting out you need to be prepared to do everything yourself, to wear many hats as the expression goes. But let’s say I was sourcing something in Brazil. How confident would I be looking for a vendor in Brazil when I did not speak any Portuguese and could not even say so much as hello in Portuguese. The answer is not very. I would be limiting myself to a handful of vendors who spoke some English not to mention the fact that I would be doing business in a country whose language and culture I did not understand, which, common sense tells me, would lead to big problems sooner or later. I would have absolutely zero confidence placing an order with a vendor in Latin America without the expertise and advice of someone who had done business in Latin America. And figure that China is a hundred times more difficult a place to do business than Latin America. But I think the best analogy is buying a house. Buying a house is a complicated process and is often the single biggest investment in one’s life. And even if you know a lot about real estate it is probably not advisable to dispense with the services of a Real Estate agent when buying a new home. And most certainly not if you were a first-time home buyer. So if you want to start importing from China, find someone who knows China. It will cost you some money but it may end up saving you a lot of money over the long term. I just finished a project helping a start up apparel company find a supplier in China. This company is showing at a trade show this month and they just received the show samples which they were very pleased with. The vendor I set them up with, a vendor I met in China a few years ago, has been great to work with. They have been very responsive and worked effortlessly to get samples to my client in time for her show. It was close though. My client did not communicate her show sample needs to me immediately the result being that we had to grapple with month delay because of Chinese New Year and ran the risk of not getting the samples in time. 1.) As soon as you know your show schedule and your sample needs communicate those to vendors or agents or anyone you are working with on the order. In general you should give vendors three months to get samples ready for you. That may seem like a long time but remember vendors are busy people and have other customers as well. 2.) Check the calendar of the country where you are sourcing and look for major holidays which might mean hiccups in production or delivery. In China, for example, you do not want to schedule anything, samples or bulk production, around CNY or National Day. These are not garden variety national holidays but major holidays that usually result in 2-4 week work stoppages. In the West, or Japan, a holiday means a few days off. Not so in other parts of the world. 3.) Don’t stop when you have found a good vendor. The client I refer to here is a small business. The vendor I have set her up with is a big factory that can count Disney and the Gap among their customers. 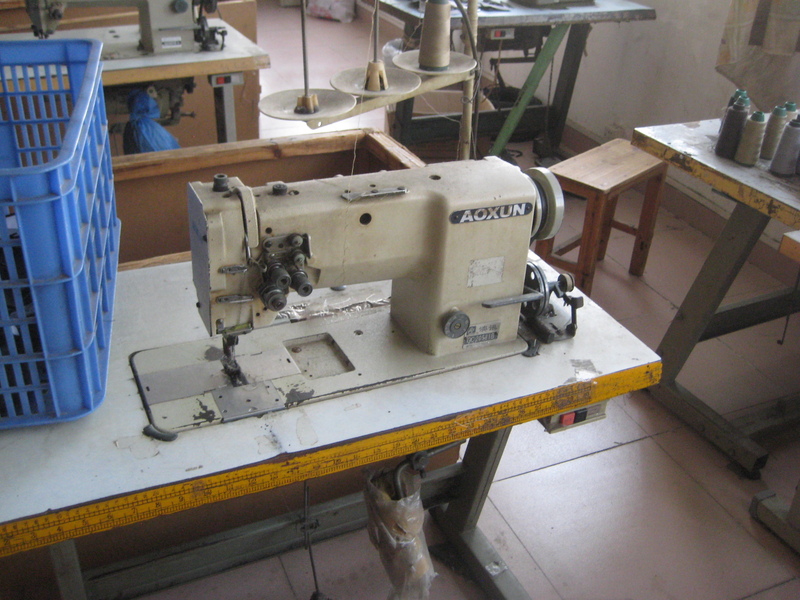 I would not normally set up a small business with a big factory but this vendor is very responsive, professional and can give my client a good cost based on economies of scale. I have also met them and have established some rapport with them over the years. This is not the first project I have run by them. Having said all that I have told my customer that in order to keep the vendor’s interest she will have to increase her orders over time and establish a good working relationship with the vendor. Hopefully the samples she just received will go a long way in helping her do that. But at the same time she should be looking for other vendors in the event she is not able to increase her orders to the satisfaction of her vendor. And this is the model you follow when you source in China. Always. I was wondering what to write about for my 200th blog post, a milestone of sorts. 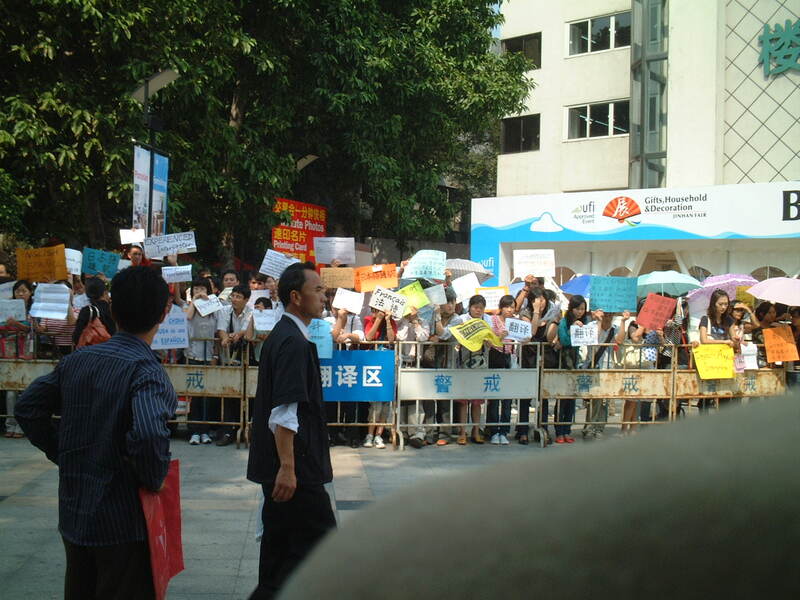 Since I was reading an article on Pu Dong today and thinking back to my own experience there, which is unique, I think I will make the 200th post about Pudong. In the fall of 1990 I moved to Shanghai where I had been invited to be an instructor for the 1990-1991 academic year at the Shanghai Maritime Institute in Pudong. This was the institute where all of the COSCO (China Ocean Shipping Company) and Maritime industry executives were trained. There were 3 overseas lecturers at the Institute – myself and two ladies from New Zealand, Mick and Jenny. We were all pioneers for we were the only three foreigners living in Pudong at that time, what I was told by the school administration. 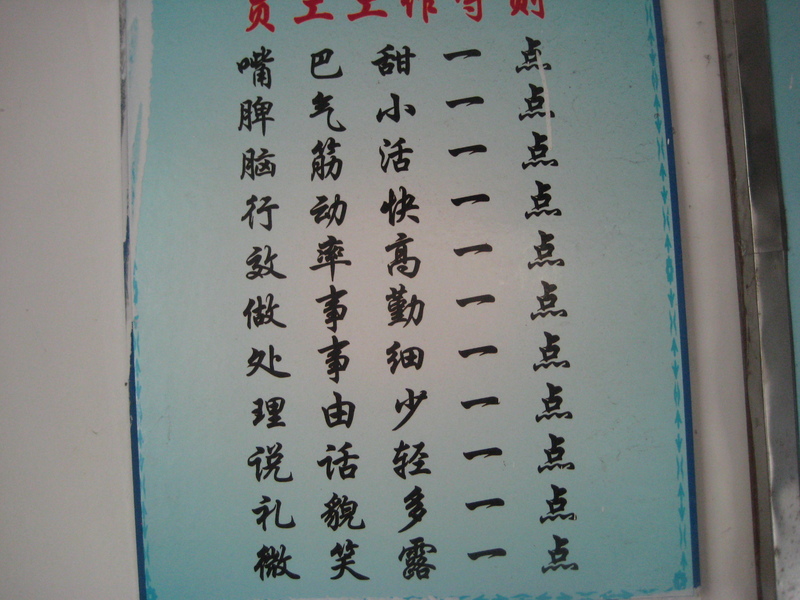 This was after all Pudong in 1990, a year before Pudong was declared a Special Economic Zone by the Chinese Government. 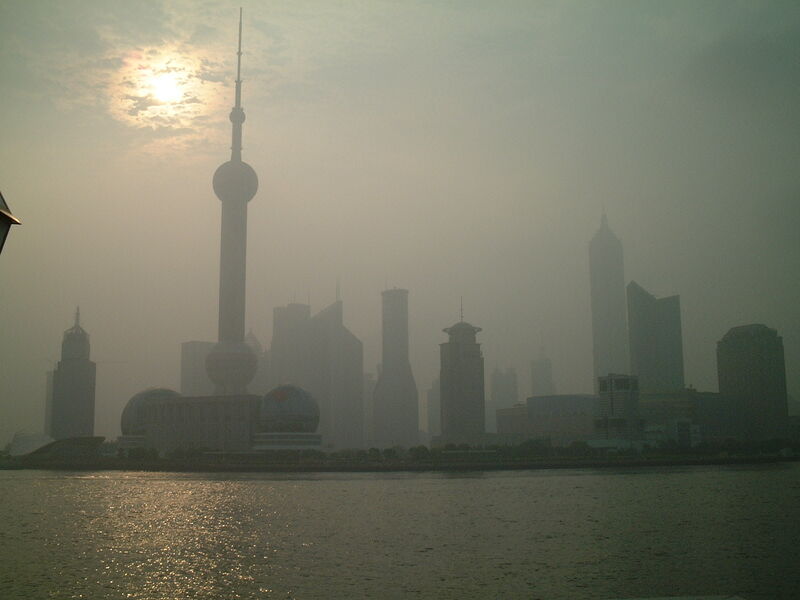 Pudong was a wasteland in those days. It was countryside and there were no tall buildings other than drab grey Soviet era apartment blocks. There were no tunnels or bridges connecting Pudong to Puxi ( Shanghai proper ) and if you wanted to go into the city it took a 20 minute bus–ride and then an anxiety laden trip across the Huang Pu River on a dilapidated and overcrowded ferry. I remember how on those trips across the river I used to look at the half-submerged stern and think how fortunate I was that my parents had sent me to swimming camp when I was a kid. Those ferry trips were certainly memorable. For the duration of the 15 minute passage, I had to endure dumbstruck and not always friendly stares from peasants because this was a time in Shanghai when there were very few foreigners and anti-western sentiment was still widespread. 40 years of anti-Western Maoist propaganda does not go away overnight. I am sure that for some people I was the first foreigner they had ever seen, their absolutely agape expressions betraying that. If I was lucky enough to get a space by the railing, what I always aimed for in order to avert the curious and hostile faces, I could look into the river and always spot some interesting objects, what became my pastime on those river crossings: bicycles, appliances, shoes or other articles of clothing and the occasional pig carcass. You name it and someone had tossed it into the Huang Pu. When dead pigs were polluting the Huang Pu last year, a story which made international headlines, I could certainly relate. Shanghai in those days was not the sparkling, chi-chi international city it has become, pig strewn rivers notwithstanding. There was little to do in Pudong back then so I spent my days studying Chinese, playing basketball or frequenting some of the local pool halls with my students who knew a thing about pool and also about drinking ( these were employees of COSCO not regular students). The restaurants we would go to were great. Authentic Chinese food for a couple of dollars. Some of the best food I have ever had. Chinese food in New York, Tokyo, San Francisco ? Forget it. Pudong nowadays looks like Manhattan. The last time I was there, in 2011, I was absolutely astonished at the growth. It is unrecognizable from the place where I lived over 20 years ago and it has become the symbol for Shanghai and modern China. Pudong can boast now some of the tallest buildings in the world and there are now over 50,000 foreign residents there. Driving past the Mercedes Benz dealership in Liu Jia Zui which is probably bigger than the New York Public Library, I could think back to my early days boarding the Pudong ferry in Liu Jia Zui and at that moment I could see all of China’s potential. And I think back to those COSCO training classes that Mick, Jenny and I taught. Just the three of us in that vast stretch of land across the river from Shanghai. Wow, I can’t believe I was part of all that. One of the things I am going to be doing this year is going through some of my old posts and republishing those that I think are particularly valuable and still relevant. 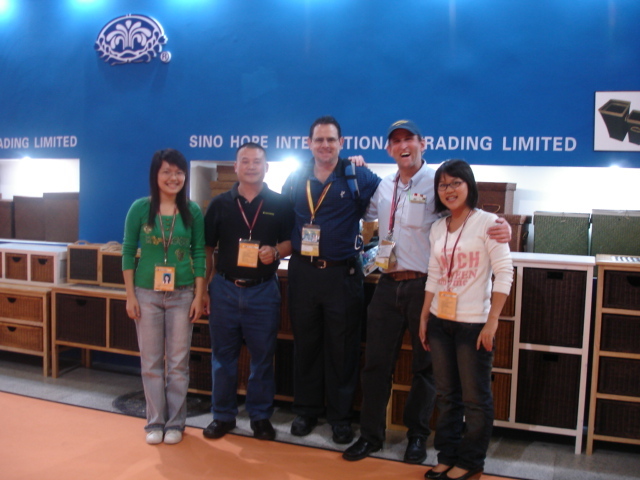 Here is a post I wrote in November of 2010 with some tips on how to evaluate a supplier. Evaluating a supplier is one of the most difficult things you will face when you source overseas and sometimes you should look beyond the obvious things, product quality and condition of the facilities, to look at less obvious markers. This week someone was asking for my advice on filing patents and trademarks in China before they source there. Of course in an ideal world you want to afford your IP all the protection it needs to ensure no one can take your idea and profit from it. But sometimes the window of opportunity for a new product or design is open for a very short time only and you have to move quickly if you want to build your business. In short, how much IP protection you give your product depends on your resources and how you see your own business. Below is my response to the person who ran this question by me. I can understand your concern because I sometimes come up with ideas for products which I run by vendors in China and I am always a little careful because I know there is the risk that someone will just take my idea and run with it before I do anything. And so I was thinking today what I would do if I had an idea for a product and all the time and money in the world to develop it. In other words, what if I were financially secure regardless of the product and I was pretty sure that no one would come up with the same idea as me in the near distant future. The answer is I would try to protect my IP as completely as possible before I gave the designs to someone else. This would mean registering all patents and trademarks in my home country and manufacturing country before I actually started sourcing. And I would wait a year or two for the patents and trademarks to be approved before I got started.. Again, this is what I would do if I really thought I had a unique product and I was in no hurry and facing no financial burden to bring it to market as quickly as possible. If on the other hand I was operating on a tight budget and I felt the need to get my product to market quickly I would probably just secure all my patents and trademarks where I would be selling the product and not worry too much about registration in China. My thinking is that as long as I have products to deliver to my customers and build my business I don’t care what they do with my product in another country. At the most I might just file for trademark registration in China at the onset of sourcing, just to have something on file in the event someone took my trademark and attempted to block my shipments. I certainly would not wait a year for the trademark to be approved because in that time someone else may come up with an idea similar to mine. And that is a year of lost sales. However, as soon as I was in a good position, in other words when sales were strong and it was obvious I had a viable business I would take care of all the China registrations and do so ASAP. But once again this is just me. I think you have to look at your product and your business and where you want to be a year from now, two years from now, five etc etc and make your own decisions accordingly.’ Know thyself ‘ as it is often said.